Over 75% of the adult population suffer from some form of foot problem, yet most of us are unaware of our foot type and how it affects the rest of our body. Supporting your feet properly and allowing natural foot function, your overall body alignment can be improved, alleviating pain and preventing injury. - The best arch support on the market! Forget those expensive custom-made inserts and cheap, flimsy supports! Dr. Arch Support(TM) is recommended by podiatrist and chiropractors to prevent and relieve foot and knee pains such as plantar fasciitis, plantar wart, calcaneal apophysitis, painful arches, shin splints, over pronation, ankle pain, heel spurs, Morton's neuroma, bunions, Metatarsalgia, aching legs, knee pain, and lower back problems. With this, you can get have your morning walks back if you have plantar fasciits when walk any further than a mile or two become so painful. It's comfortable to use, so you can wear it all day or when you do sports. Recommended by Podiatrists and Chiropractors --- Dr. Arch Support features compression on the bottom of the sleeves to prevent foot and knee pain and help you to stay moving longer as well as promote blood and oxygen circulation. 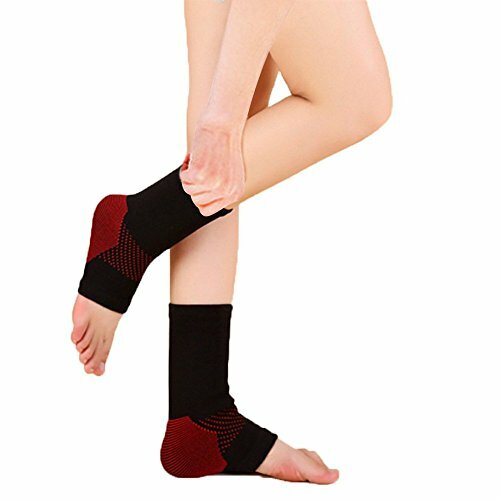 Brilliant Design to Combat Foot Pain --- Wear this arch support to prevent and relieve plantar fasciitis, plantar wart, calcaneal apophysitis, painful arches, shin splints, aching legs, knee pain, etc. It also encourages faster muscle recovery. Premium Grade Nylon Material --- It is made of breathable and absorbent nylon material which ensures your feet stay dry and follow the shape of your feet perfectly. It's thick and also odorless. Super Comfy for Daily Usage --- Provides you with the ultimate comfort, it fits snugly under your socks and won't restrict movement when you do sports like basketball, football, etc. or for all day wear. Get It Now --- It comes in M size and perfect to use for both men and women. Prevent and relieve those foot and knee pain, hurry and place your order now! If you have any questions about this product by Dr. Arch Support, contact us by completing and submitting the form below. If you are looking for a specif part number, please include it with your message.